Q. Do I need to use a type B RCD on the AC side of the PV system electrical installation? A. This is one area where there appears to be some confusion. For example, many inverters have transformer isolation between the AC and DC side, preventing DC fault currents from being fed into the electrical installation. Transformerless inverters are increasing in popularity due their increased efficiency and reduced cost and physical size. 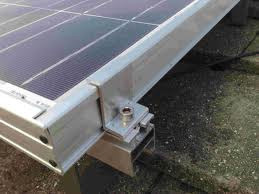 IEE Guidance Note 7 advises that where an electrical installation includes a PV power supply without at least simple separation between the AC and DC sides, an RCD installed to provide fault protection shall be type B. 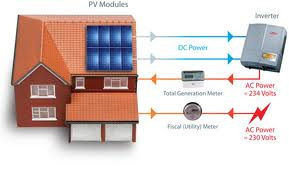 However, the guidance also states that where the inverter is, by construction, not able to feed DC fault currents into the electrical installation, an RCD of type B is not required. Manufacturers of transformerless inverters commonly provide declarations to this effect - so avoiding the need for a type B RCD. Q. As an established electrical contractor, what do I need to do to win solar PV installation work? A. Registration with the Microgeneration Certification Scheme (MCS) is the key starting point. The MCS is an independent quality assurance scheme that lays down the requirements for any firm looking to design, supply or install renewable technologies in accordance with consistent standards. Any installation seeking to get funding from the FITs initiative has to use MCS-approved suppliers and contractors. It is designed to assess companies involved in microgeneration products and services against robust criteria which will provide greater protection for consumers. A number of organisations such as NICEIC, ELECSA and NAPIT run MCS-registered schemes. 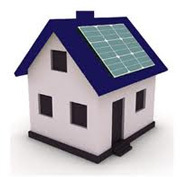 The Electrical Safety Council (ESC) is updating its Best Practice Guide (BP3) 'Connecting a microgeneration system to a domestic and similar electrical installation (in parallel with the mains supply)'. As well as the imminent publication of the first amendment to the 17th Edition IEE Wiring Regulations, the revision takes into account microgeneration certification scheme requirements linked to feed-in tariffs. Also included is updated information on legal areas such as planning permission and building regulations as well as energy-metering arrangements. The guide will soon be available to download free from the industry section at www.esc.org.uk.